The Globe Is Warming, But It’s Not Your Fault! Climate change, or global warming, is thought by many alarmists to be man-made and potentially catastrophic. In a biblical worldview, climates change but the Flood and the Ice Age impact how climate data (e.g. ice cores) should be understood. Without this starting point, climate scientists will reach wrong conclusions. There continues to be a furor over climate change. Some are convinced that our climate is fragile, that human activities are causing dangerous changes to the climate, and that immediate corrective action is essential. Others are skeptical. The skeptics, like me, believe that some of the claims are not well supported by the evidence. Emotions run high as some advocates for corrective action label the skeptics as “deniers” because they are so certain those dire consequences are imminent. The skeptics are often infuriated with the advocates because they are worried that higher energy costs will unnecessarily lower the standard of living for everyone. Clearly, climate change is not purely a scientific question. Emotions only run this high when the issue will affect how we live. In this political debate, the issues have become clouded (pun intended), and the facts are often ignored. As Christians, How Should We Approach This Issue? While there are certainly issues that are more important for a Christian, climate change is one that we should not ignore. The consequences of both action and inaction related to the climate could impact the well being of all the inhabitants of the earth. In addition, the Lord has given us the responsibility to care for this planet that He created.1 In order for us to do that task well, we need to know more about our climate. As a scientist, I look forward to that challenge. Separating fact from fiction will not be easy. To be sure, everyone’s worldview has an effect on how he looks at this issue. Christians are less likely to be concerned about the climate going out of control since they believe the earth and its climate were designed and created by an all-knowing and all-powerful God. Those who believe that the heavens and the earth are the result of a random, accidental process naturally will be concerned about what may happen next. In order to find the truth, we will need to understand some basic scientific principles and carefully evaluate the experimental data. If we study the climate and determine that our actions are detrimental to our planet, we will need to modify our behavior. If, however, we determine that our actions are not causing harm and that corrective actions are unnecessary, then we should speak up and defend those that will be hurt the most by the corrective actions—the poor. Let’s begin our examination of the important questions with regard to climate change. Is the Average Global Temperature Actually Rising? The short answer is yes. This is an issue within the climate change debate where there is reasonable agreement. Temperature measurements have been made since 1880 at land-based weather stations. These measurements indicate that there has been about a 1.3°F rise in temperature since AD 1880. While the urban “heat island” effect, the buildup of urban areas around these weather stations, is likely responsible for a portion of this increase in temperature, a significant portion of the increase is real. Let me reiterate that point so there is no misunderstanding—the global temperature has been rising since the Little Ice Age. The overall trend over the past 400 years is up. Many who are currently claiming that there is no global warming are referring only to the last 15 years. Satellite data, which are the most accurate data available today, show no significant change in the average global temperature in this timeframe. While this is technically accurate, it is a bit misleading since the overall trend over the past 400 years is up. No one knows whether the temperature will rise or fall in the next 400 years. Our climate models are a long way from being helpful in answering that question. Is this latest temperature rise outside of the normal variability of the climate? Is the increased concentration of carbon dioxide in the atmosphere the cause of the latest temperature rise? Are the current mathematical models of the climate useful for predicting the future? Is the Latest Temperature Rise Outside of the Normal Variability of the Climate? First we need to define what we mean by climate. Climate is commonly defined as it is in this quote from the NASA website. Given this timeframe of 30 years, then, yes, the global climate is changing. However, if you consider climate to be defined as the weather pattern over centuries as some do, then the answer would be different. While systematic, worldwide temperature measurements were not made prior to AD 1880, temperature estimates have been made based on scientific data that many believe to correlate fairly well with temperature. Ljungqvist recently did such an estimate for the past 2,000 years (Figure 1) based on the best data available.4 Even though this paper does not answer conclusively the question of whether the Medieval Warm Period was warmer than our climate is today, it provides a sensible approximation of past global temperatures and gives us some perspective. It is important to remember that science cannot tell us with certainty what happened in the distant past. From Ljungqvist’s paper it is reasonable to conclude that there has been normal climate variation of about 0.8°C (1.3°F) over the past 2,000 years and that the temperature has been in the neighborhood of the current global temperature twice before. Therefore, no special cause is required to explain the current global temperature. It is, however, reasonable to try to understand the causes of the normal variation in temperature so that we can better care for the planet in the event the temperature does go beyond the normal range to an extent that is harmful to human life. By extremely likely, the IPCC means that they are 95–100% confident in this conclusion. Is this level of confidence warranted in light of the temperature approximation in Figure 1? The IPCC is claiming that greenhouse gases generated by man (anthropogenic) caused the warming from AD 1950 to 2000. If so, what was the cause of the warming leading up to AD 200, or from AD 500 to 1000, or from AD 1700 to 1750, or for that matter from AD 1880 to 1950? It is highly unlikely that humans caused these other warming cycles by burning fossil fuels. 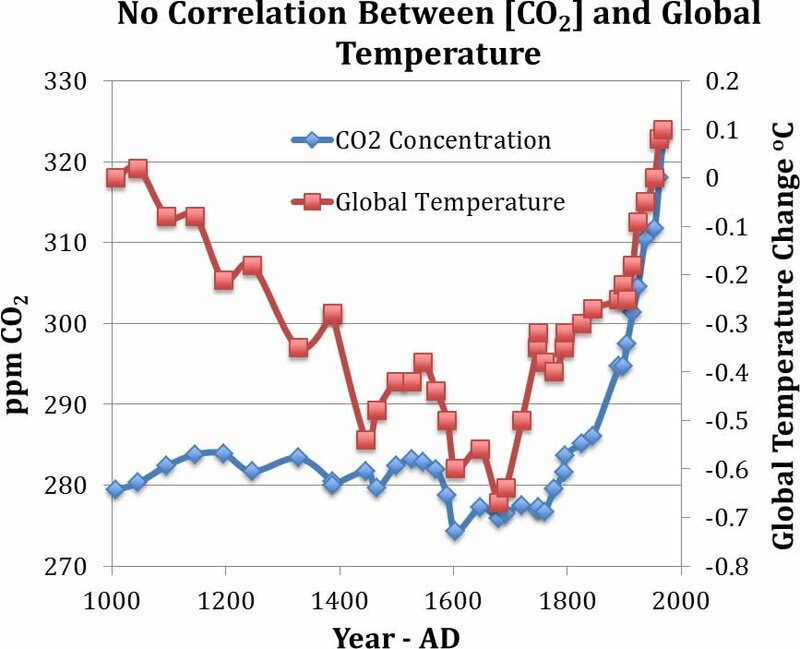 It is apparent there is no correlation of human activity with global temperature over the last 2000 years. Could there have been higher CO2 levels from some other cause in the past few centuries? Obviously, there are no direct measurements of atmospheric CO2 back that far, but scientists have estimated the amount of CO2 in the air in the past 1000 years. These estimates are based on air that was trapped in the ice layers in Antarctica.6 There are many assumptions that go into interpreting these data. Certainly there are challenges in determining which depth is related to which year. Etheridge and coauthors were able to correlate the layers back to 1815 by matching up higher levels of acidity in the ice with the times of known volcanic eruptions. Nevertheless, they are comfortable with the data in the entire age range. In general, as you go deeper in the ice, the layers become more compressed due to the weight and the dates become more uncertain. Two other major assumptions are that the samples were tightly sealed in the ice and that no chemical reactions occurred in the interim. These are not unreasonable assumptions given the temperatures that were likely present over the past 1,000 years in Antarctica. If you compare these CO2 estimates of Etheridge with the temperature estimates of Ljungqvist (Figure 2), the lack of correlation between temperature and CO2 concentration is clear, based on the best evidence we have. 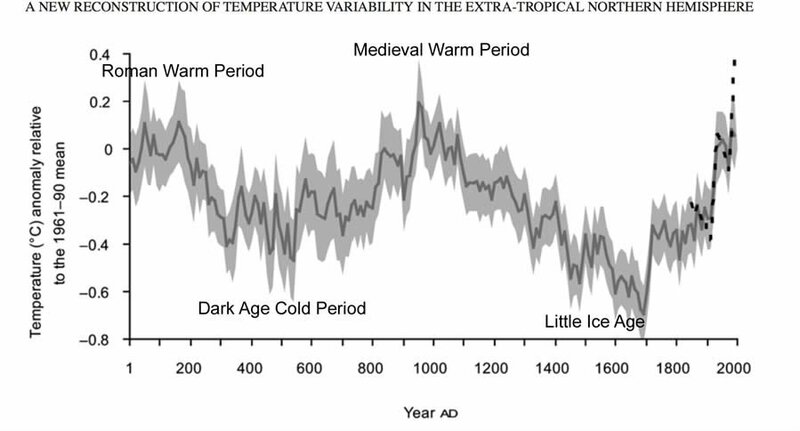 The global temperature declines significantly from the Medieval Warm period to the Little Ice age while the CO2 concentration barely changes. In addition, the temperature rise beginning around AD 1700 precedes the rise in CO2 concentration, which is not what you would expect if a rising CO2 concentration were the cause of rising temperatures. More recently, ice cores have been removed much deeper in Antarctica. The data from these ice layers led scientists to believe that atmospheric CO2 levels have oscillated between about 180 ppm and 300 ppm (Figure 3).7 Again, this estimate of the composition of the air in times past is based on assumptions about the past of which we cannot be sure. In particular, I would not agree with the assumptions that led to these estimated dates, but it is reasonable to conclude that CO2 has varied within this approximate range in the recent past and that lower ice layers are from more ancient times. The IPCC is highly concerned that the present CO2 concentration has risen above this “ceiling” of 300 ppm. This concern about a rise in temperature is unwarranted due to the lack of correlation between the CO2 concentration and global temperature. On the other hand, CO2 is very important to life on Earth. In particular, it is very important to pay attention to this “floor” of carbon dioxide levels around 180 ppm. Plants grow using an incredibly complicated and brilliantly designed process called photosynthesis where about 50 enzymes and 100 cofactors work together to take CO2, water, and sunlight and convert them into sugars and oxygen. When plants are starved for CO2, photosynthesis does not work well. This “floor” of 180 ppm CO2 just “happens” to be the level at which plant growth becomes very difficult.8 If CO2 were to go below 180 ppm for any significant period of time, plant life would be in significant jeopardy. Without plant life on Earth, there would be no human life. Is it an accident that the CO2 concentration stayed in a range that allowed plants to survive, or was it by design? 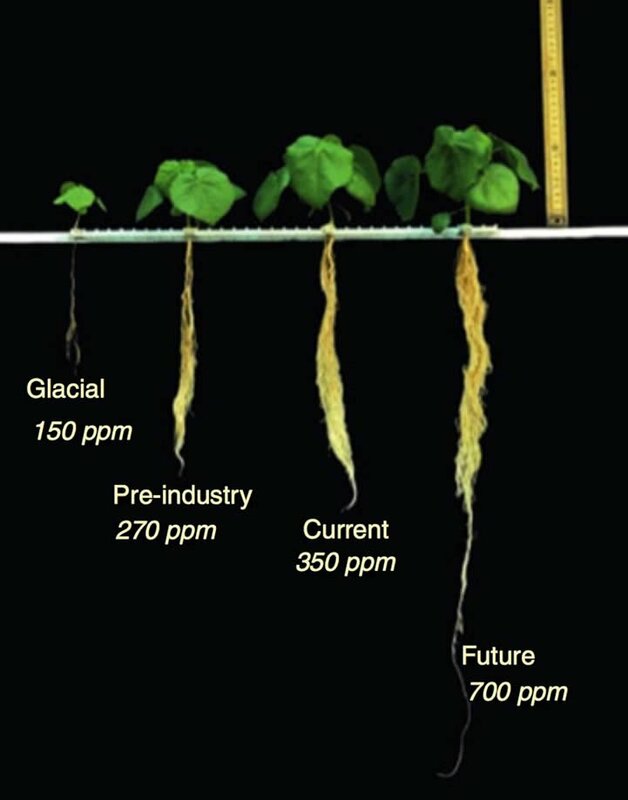 Notice how the CO2 level in the atmosphere affects the growth of the plants (Figure 4).9 If you feel the need to worry about something, it makes more sense to worry about low levels of CO2 rather than high levels. As you can see from Figure 4, higher levels of CO2 are desirable for plants. As of January 8, 2015, the CO2 concentration in the atmosphere was 399.98 ppm.10 The growth rate for plants increases from 5–50% when CO2 levels are higher than current levels. The maximum growth rates for most plants occur when CO2 levels are in the range of 1,000 to 1,200 ppm.11 For humans, the negative effects of high CO2 don’t begin until about 5,000–10,000 ppm. When thinking about the consequences of higher levels of CO2, it is also important to remember that the greenhouse gas effect for CO2 diminishes at higher levels. The direct effect of the CO2 concentration is approximately logarithmic, which means that going from 200 to 400 ppm CO2 has about the same effect as going from 400 to 800 ppm. When pondering what we think the CO2 level should be, we should consider all the relevant issues (many of which are not mentioned here), including our ability to feed everyone on the planet. Are the Current Mathematical Models Useful for Predicting the Future Climate? Though it is relatively easy to estimate the amount of heat that greenhouse gases absorb and emit back toward the earth (climatologists call this “forcing”), it is much more difficult to determine how the planet will adjust to the additional heat (climatologists call this “feedback”). Essentially all the current climate models have overestimated the global temperature in the past and future. Many climatologists believe that there are stronger positive feedbacks within the climate than negative feedbacks. In other words, they believe that the climate amplifies warming caused by greenhouse gases rather than moderating it. If that were true, why hasn’t the global temperature already gone out of control? Negative feedback systems, like the thermostat in your house, are known to lead to stability; whereas positive feedback systems often lead to instability, like the deafening audio feedback when a speaker and a microphone are put too close together. It seems more likely that our climate is dominated by negative feedbacks since Earth’s temperature has been amazingly stable for at least 2,000 years with only a 1.3°F change. Climatologists seem obsessed with understanding the effect of greenhouse gases and aerosols caused by man. But these have a minor effect relative to the major “natural” effects of clouds, water vapor, and “natural” CO2. Gaining a better understanding of these natural effects will allow climatologists to begin to make better models. Unfortunately, we would not be able to make highly predictive models now even if we understood clouds because there is not enough computing power available to do the calculations at the resolution necessary to accurately predict individual clouds. Hopefully we will make significant progress in understanding these natural forces over the next few years so that we can make better predictive models. Accurate models will be necessary to convince the world to change, if change were to become necessary, but even that might not be sufficient. The globe is warming, but it’s not your fault. The data are clear. The global temperature has been rising since the Little Ice Age. But today’s temperature is not unprecedented. Based on the best information we have, it is in the neighborhood of the temperature during the Medieval Warm Period, about 1,000 years ago. Carbon dioxide is a greenhouse gas and, therefore, is a factor in determining the global temperature. But the concentration of CO2 in the air and global temperature do not correlate well over the long term, indicating that CO2 is not the dominant cause of today’s rising global temperature. The globe is warming, but it’s not your fault. Carbon dioxide is critical to plant life and must remain above about 180 ppm to sustain our only source of food. It is important that we investigate these issues and carefully examine the data so that we can prepare for the future, even if we find we are unable to significantly change the global temperature. A nuclear reaction in the sun’s core provides us exactly the right amount of heat, and the sun’s surface is the right temperature to provide us the visible light we need. Water, CO2, and methane from natural sources cause a greenhouse effect that is estimated to raise Earth’s temperature by about 59°F degrees.14 Otherwise, Earth would be frozen. Plant life and animal life are totally dependent on each other. Plants grow by consuming carbon dioxide and releasing oxygen. Animals grow by consuming oxygen and releasing carbon dioxide. The oceans are a tremendous stabilizing force for Earth’s temperature, and they contain a large reservoir of CO2. The hydrological cycle of evaporation and rain provides a mechanism for transferring heat around the earth and provides fresh water to plants and animals. Clouds help control the earth’s temperature by reflecting some of the sun’s radiation into space and by absorbing some of the heat radiated from the earth. It’s all a part of a grand design. Evidence of God’s provision is everywhere. “For since the creation of the world, His invisible attributes, His eternal power and divine nature have been clearly seen, so that they are without excuse” ( Romans 1:20, NASB ). “And God blessed them, and God said unto them, Be fruitful, and multiply, and replenish the earth, and subdue it: and have dominion over the fish of the sea, and over the fowl of the air, and over every living thing that moveth upon the earth” ( Genesis 1:28, KJV ; emphasis added). 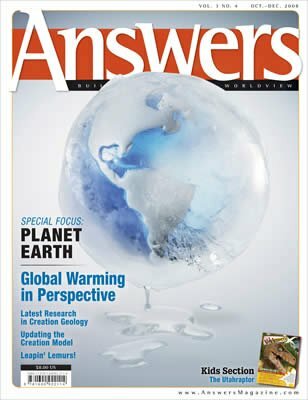 Michael Oard, “Is Man the Cause of Global Warming?,” in The New Answers Book 3, Ken Ham, ed. 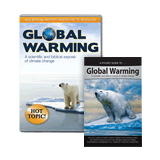 (Green Forest, AR: Master Books, 2010); Oard, “How Much Global Warming Is Natural?,” Answers in Depth 3 (2008); Oard, “Global Warming,” Answers (October –December 2006); Larry Vardiman, “Evidence for Global Warming,” Acts & Facts 36, no 4 (2007); Alan White, “Should We Be Concerned About Climate Change?,” in The New Answers Book 4, Ken Ham, ed. (Green Forest, AR: Master Books, 2014). “NASA—What’s the Difference Between Weather and Climate?” NASA, February 1, 2005, http://www.nasa.gov/mission_pages/noaa-n/climate/climate_weather.html. F.C. Ljungqvist, “A New Reconstruction of Temperature Variability in the Extra-Tropical Northern Hemisphere During the Last Two Millennia” Geografiska Annaler, Series A, 92, no. 3 (2010): 339–351. Rajendra K. Pachauri, Leo Meyer, et al, eds., Climate Change 2014, Synthesis Report: Summary for Policy Makers, Intergovernmental Panel on Climate Change, accessed February 3, 2015, http://www.ipcc.ch/pdf/assessment-report/ar5/syr/SYR_AR5_SPMcorr1.pdf, p. 4. Emphasis in original. D. M. Etheridge et al., “National and Anthropogenic Changes in Atmospheric CO2 Over the Last 1000 Years from Air in Antarctic Ice and Firn,” Journal of Geophysical Research 101, no. D2 (February 20, 1996): 4115–4128. Image courtesy of Wikimedia Commons, derivative work by Autopilot, original work by NOAA, accessed February 3, 2015, http://commons.wikimedia.org/wiki/File:Vostok_Petit_data.svg. Data are from J. R. Petit, et al., “Climate and Atmospheric History of the Past 420,000 Years from the Vostok Ice Core, Antarctica,” Nature 399 (June 3, 1999): 429–436, doi:10.1038/20859. L. M. Gerhart and J. K. Ward, “Plant Responses to Low [CO2] of the Past,” New Phytologist 188 (2010): 674–695. Photograph courtesy of Anne Hartley from J. K. Dippery et al., “Effects of Low and Elevated CO2 on C3 and C4 Annuals,” Oecologia 101 (1995): 13–20. Plants are Abutilon theophrasti grown at different [CO2] for 14 days under similar conditions of water, light, and nutrients. CO2 concentrations are measured daily at Mauna Loa, Hawaii. Earth System Research Laboratory, http://www.esrl.noaa.gov/gmd/ccgg/trends/weekly.html. E. A. Ainsworth and S. P. Long, “What Have We Learned from 15 Years of Free-Air CO2 Enrichment (FACE)? A Meta-analytic Review of the Responses of Photosynthesis, Canopy Properties and Plant Production to Rising CO2,” New Phytologist 165 (2005): 351–372 and references therein; T. Grotenhuis, J. Reuveni, and B. Bugbee, “Super-Optimal CO2 Reduces Wheat Yield in Growth Chamber and Greenhouse Environments,” Adv. Space Res. 20, no. 10 (1997):1901–1904; K. L. Griffin et al., “Plant Growth in Elevated CO2 Alters Mitochondrial Number and Chloroplast Fine Structure,” PNAS, 98, no. 5 (February 27, 2001): 2473–2478. 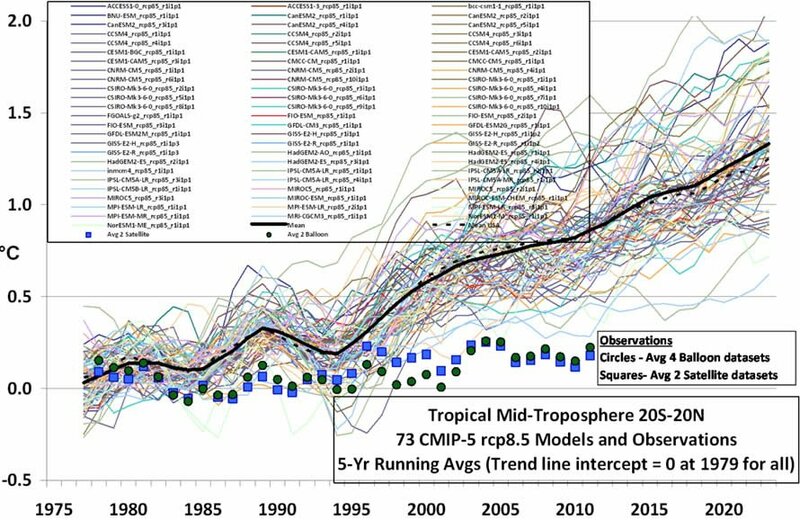 Roy Spencer, “STILL Epic Fail: 73 Climate Models vs. Measurements, Running 5-Year Means,” June 6, 2013, http://www.drroyspencer.com/2013/06/still-epic-fail-73-climate-models-vs-measurements-running-5-year-means/; R. W. Spencer and W. D. Braswell, “On the Diagnosis of Radiative Feedback in the Presence of Unknown Radiative Forcing,” J. Geophys. Res. 115, D16109 (2010): doi:10.1029/2009JD013371, http://www.drroyspencer.com/wp-content/uploads/Spencer-Braswell-JGR-2010.pdf. IPCC, 2012: Summary for Policymakers. In: Managing the Risks of Extreme Events and Disasters to Advance Climate Change Adaptation [Field, C.B., V. Barros, T.F. Stocker, D. Qin, D.J. Dokken, K.L. 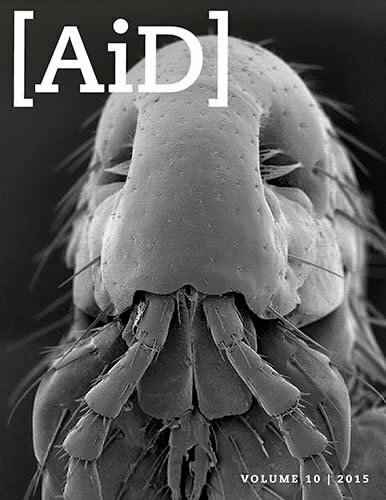 Ebi, M.D. Mastrandrea, K.J. Mach, G.-K. Plattner, S.K. Allen, M. Tignor, and P.M. Midgley (eds.)]. A Special Report of Working Groups I and II of the Intergovernmental Panel on Climate Change. Cambridge University Press, Cambridge, UK, and New York, NY, USA, p 11. https://www.ipcc.ch/pdf/special-reports/srex/SREX_FD_SPM_final.pdf. Qiancheng Ma, “Greenhouse Gases: Refining the Role of Carbon Dioxide,” NASA, March 1998, http://www.giss.nasa.gov/research/briefs/ma_01/.